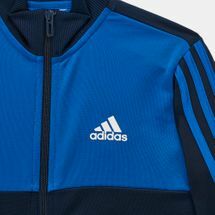 The slim-fitting adidas Kids' Tibero Track Suit will make your little athlete ready for a day of non-stop activity! 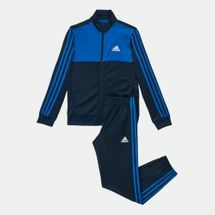 Wicking sweat away from the skin, the slick fabric keeps your little one comfy when the action starts to heat up. Side 3-Stripes make this style an instant hit.